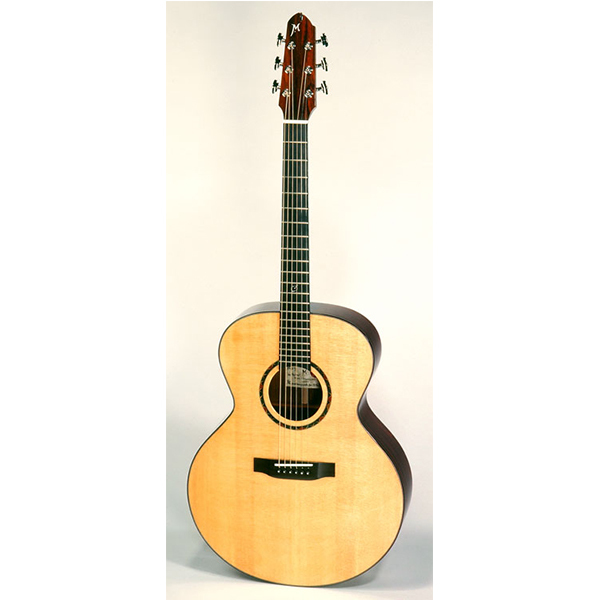 As played by Top South African acoustic guitarist Syd Kitchen, Richard Tait and others. 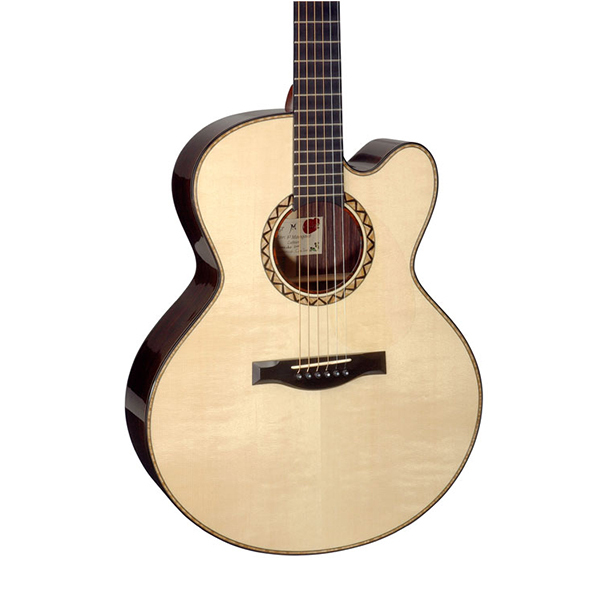 With its beautifully nipped in waist the Grand Concert Guitar is the most striking guitar in the steel string range. 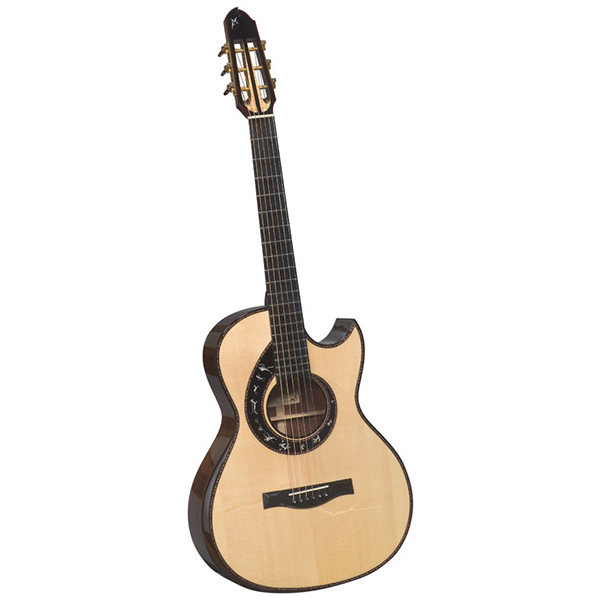 The versatility and even balance between bass, treble and mid-range produces excellent projection and clarity with a subtle warmth and surprising volume, making it a very playable instrument for all styles. The choice of popular guitarist Steven Stills on his 1996 South African tour. 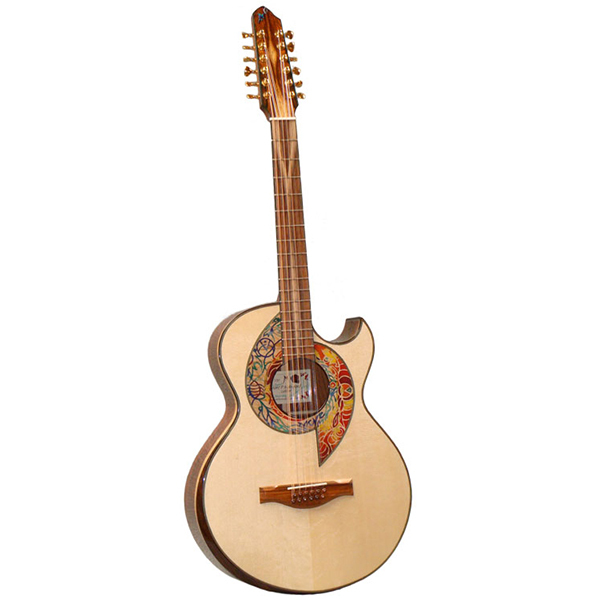 As on all Maingard steel string guitars every neck is fitted with an adjustable truss rod and is gracefully hand-shaped. 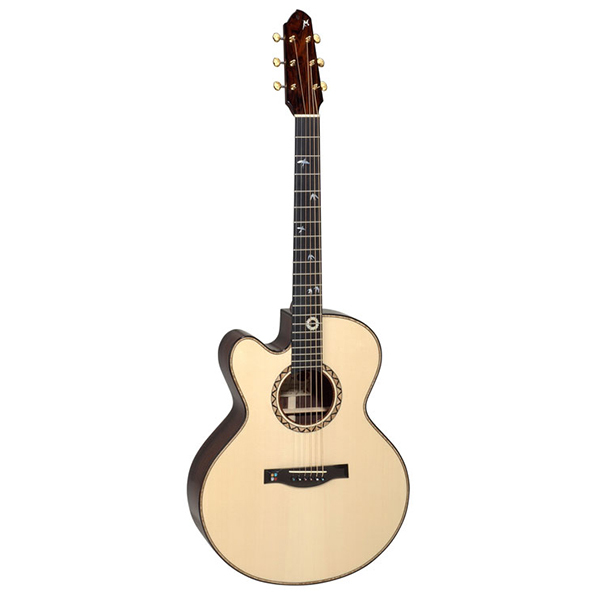 This, coupled with low action and smooth fretwork, make for tireless and enjoyable playing. 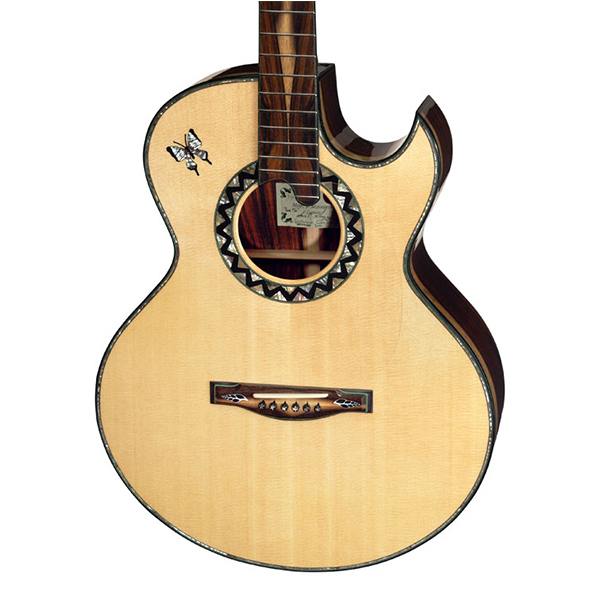 All Maingard guitars have the option of being amplified.